Rev. 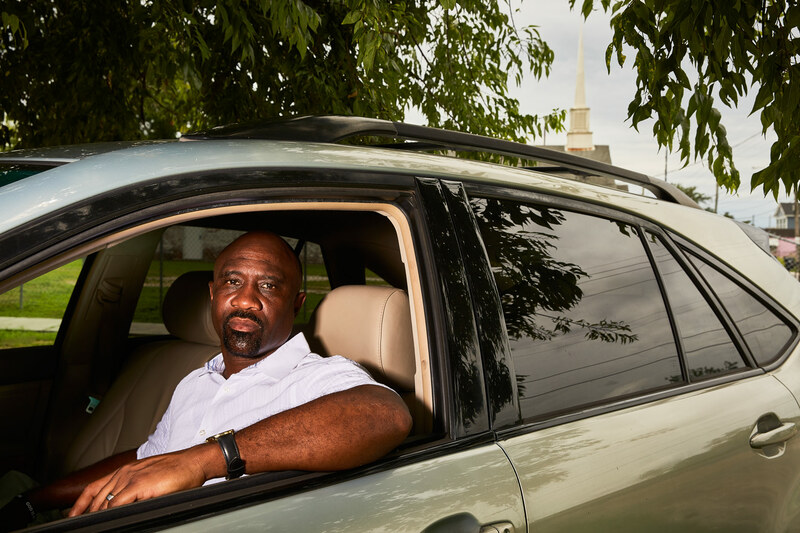 Robert Brown, pastor of Ray Avenue Baptist Church, poses for a portrait in his Lexus SUV on Warfield Street in New Orleans, Louisiana. Brown showed up to conduct a vigil for a man murdered in the neighborhood only to be confronted with the scene of another homicide 100 feet away from the vigil's location.